To add instant character with some French country style to a modern-built house, incorporate architectural salvage pieces in your decor. 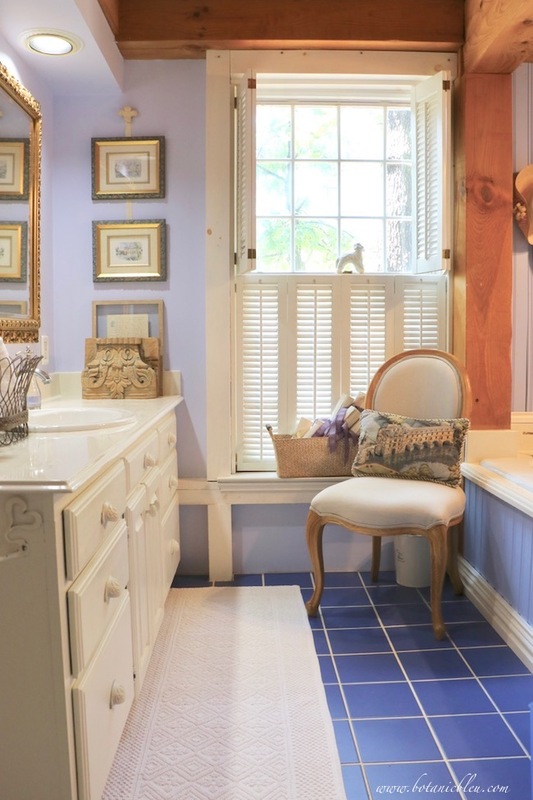 Your house may not have wood beams, plaster walls, or limestone floors, but vintage architectural fragments can be used to give your house French country charm. 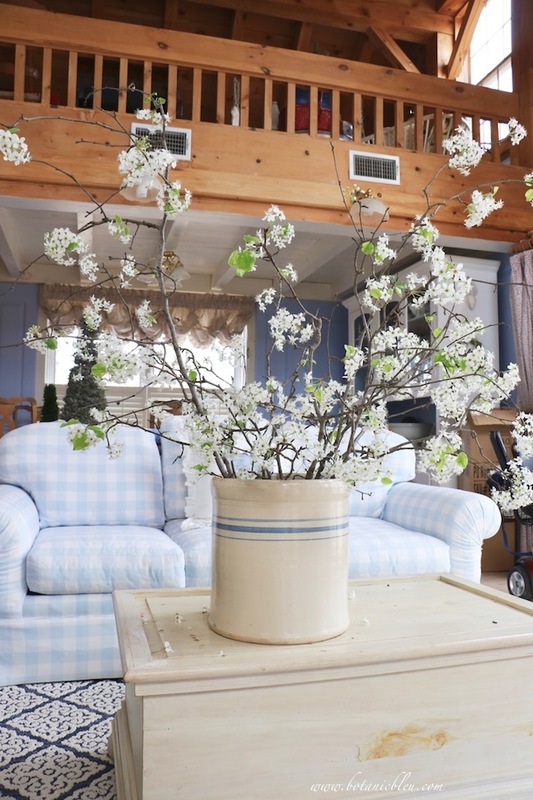 A hand-carved wood fragment can be turned into a lamp base, a candle holder, or used as an accent by itself. 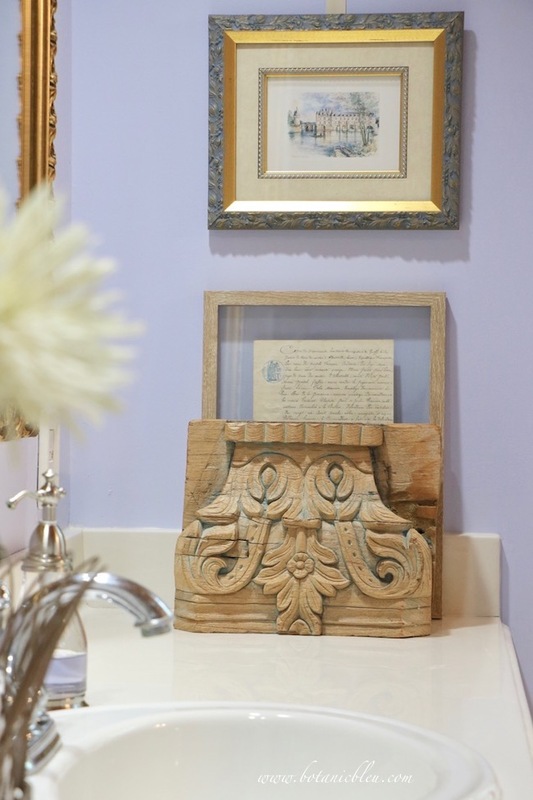 In my master bathroom, the carved wood fragment sits on a modern cultured marble vanity. 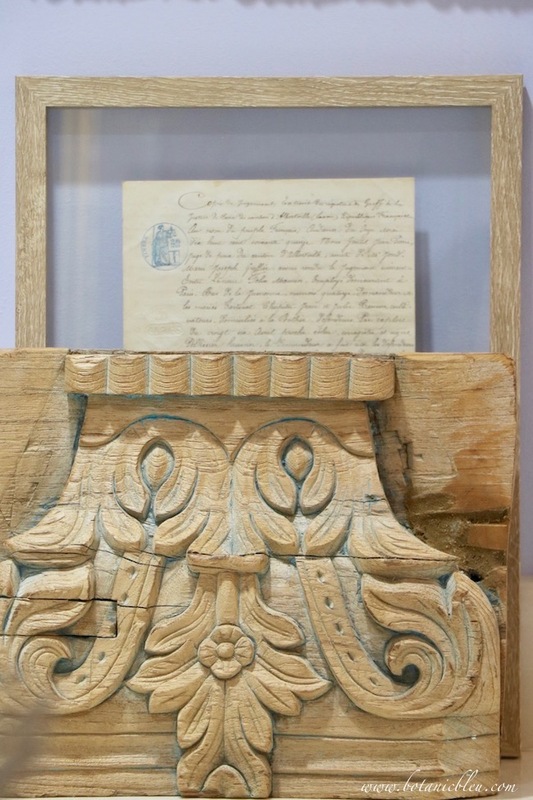 The origin of the carving is unknown, but its mellow cracked wood imperfections reflect French country style. You can tell it was handcarved by the differences in sizes of the same designs. At the top, the left curve is longer than the right curve, the width of the downward carving on the left is wider than the right side, and the enclosed oval on the left is larger than the one on the right. Sometime in its life, this piece was painted an aqua blue. Traces of the color are still visible in the deep crevices. 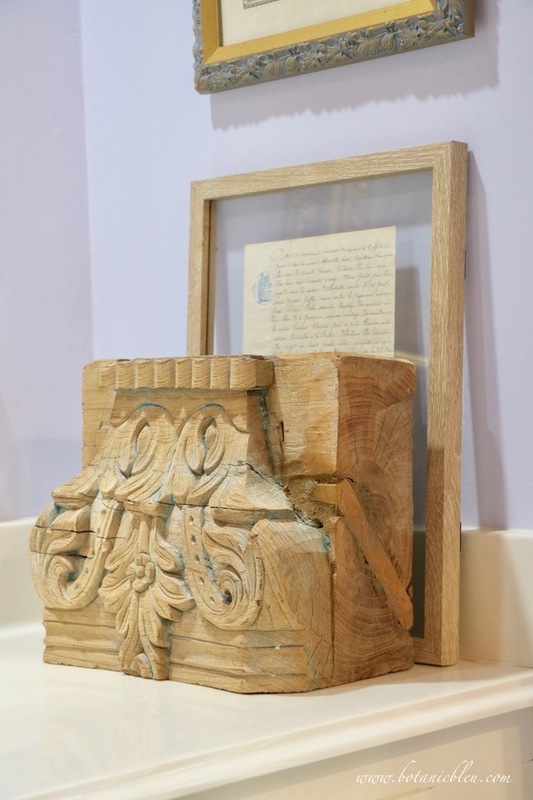 Instead of using an architectural salvage item alone, combine other French Country style items with an architectural salvage piece. Standing behind the wood carving is a vintage French legal document that came from an antique dealer at the Round Top Antique Show which happens twice a year in, and around, Round Top, Texas. Just walking around and seeing all of the beautiful antiques from France is worth the trip. 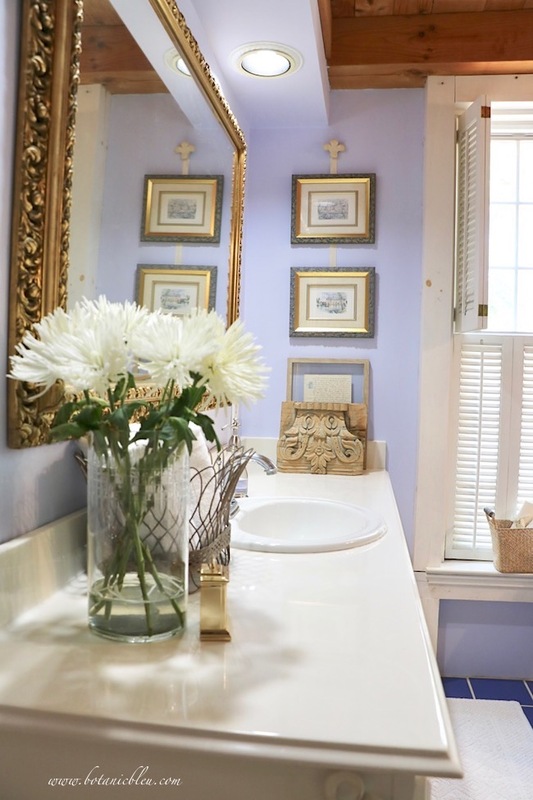 Round Top offers genuine French antiques from country style to Parisian salon style and everything in between. The next best thing to shopping a flea market or brocante (second-hand goods sale) in France. 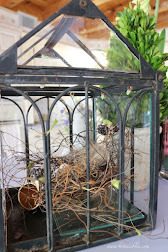 I've shopped French flea markets in Paris and in the French country side as well as brocantes across France. Round Top, TX has some of the same dealers from France who make Round Top part of their annual antique selling season. Not everything has to be vintage or antique. New reproductions often have patina that resembles older items. 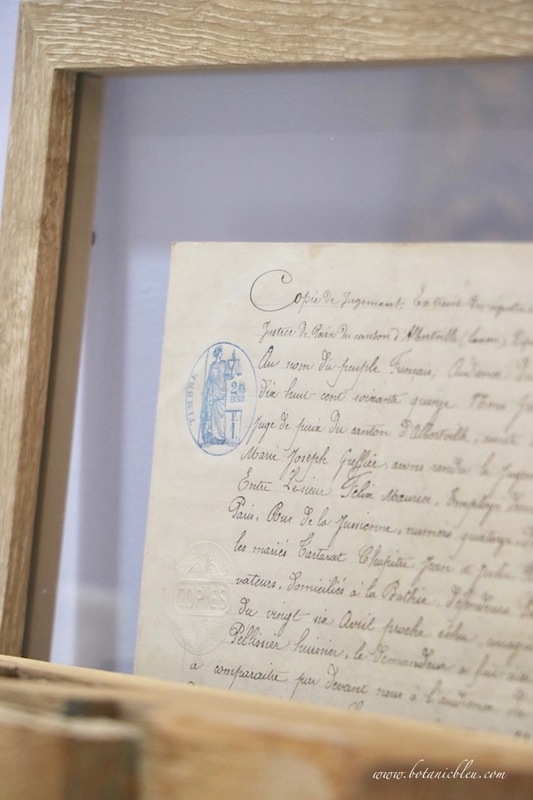 The distressed wood frame is new with the antique French document displayed in between two pieces of floating glass. Two framed French château prints hang above the wood carved pedestal. 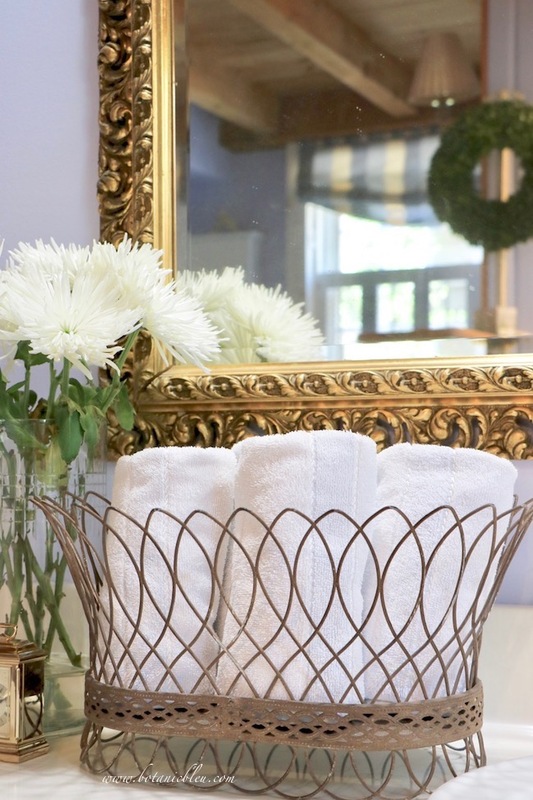 A new French style wire basket holds hand towels at the opposite end of the vanity. 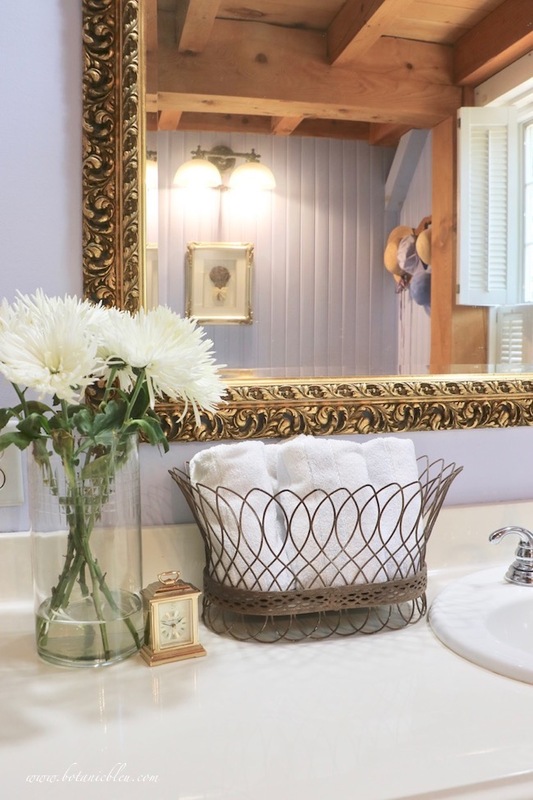 The distressed dark brown color of the basket keeps the bathroom's style more country than the ornate gold carved mirror with its formal style. 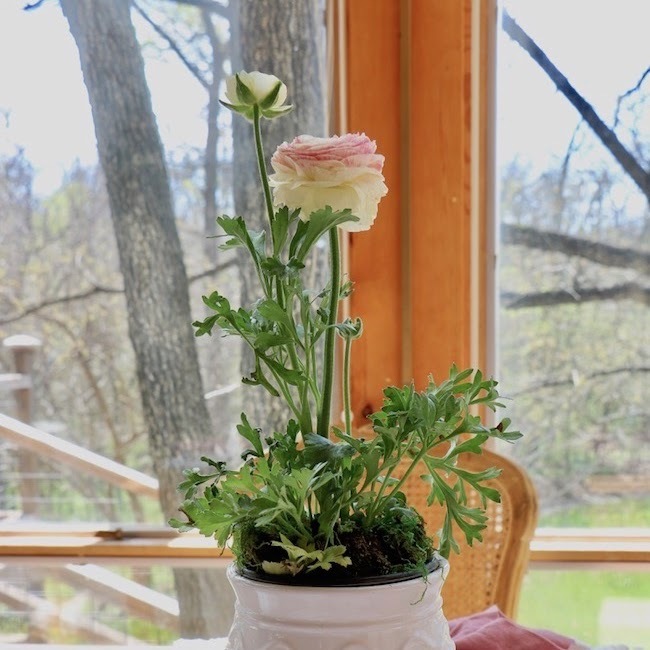 A reproduction French style chair's wood frame picks up the warm tones of the architectural salvage pedestal, the wire basket, and a natural woven basket on the windowsill. 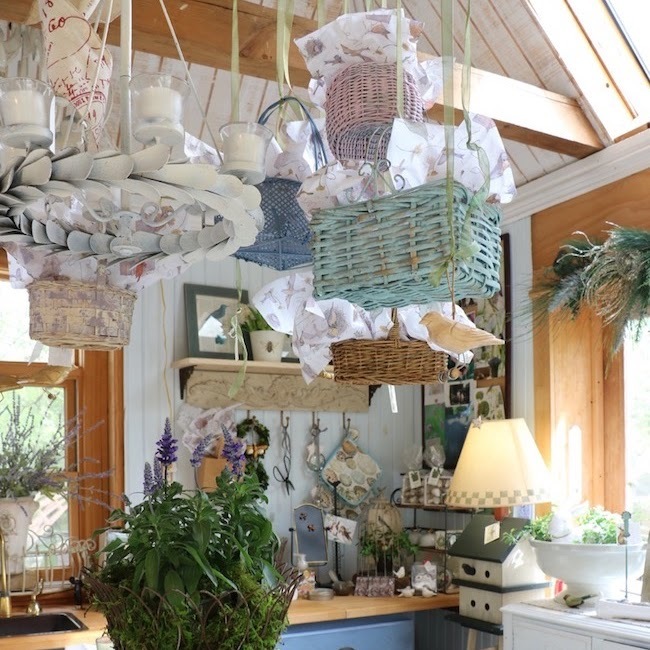 True to French Country style, the objects in the room have been collected over a life time. A mix of white painted wood brightens the room and keeps the structural posts and beams of the house from making the space dark. 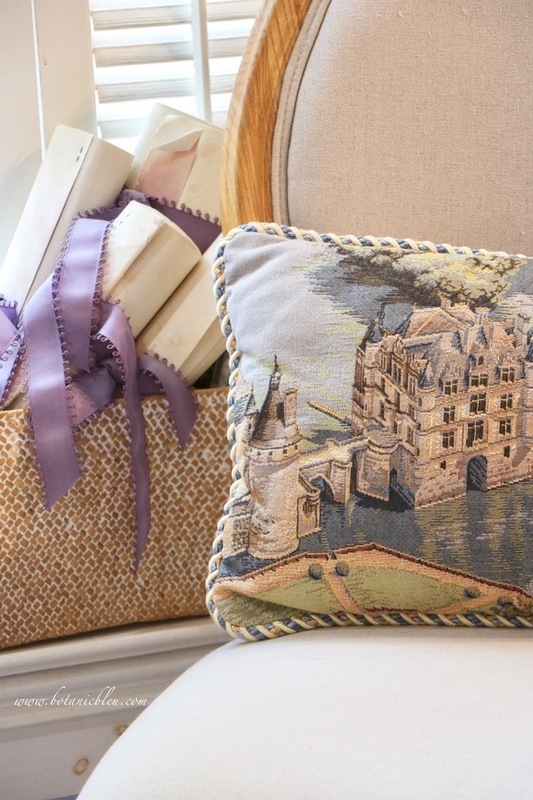 A new needlepoint pillow found in the Loire Valley in France has muted blues and greens. While the pillow is not vintage or an antique, it is over twenty years old and was bought while chaperoning high school students to France one summer. Château de Chenonceau, my favorite castle in France, is the second most visited château in France, after Versailles in Paris. Over 800,000 visitors per year visit the fabled Château des Dames renowned for its beauty and the roles five significant women played in its history. 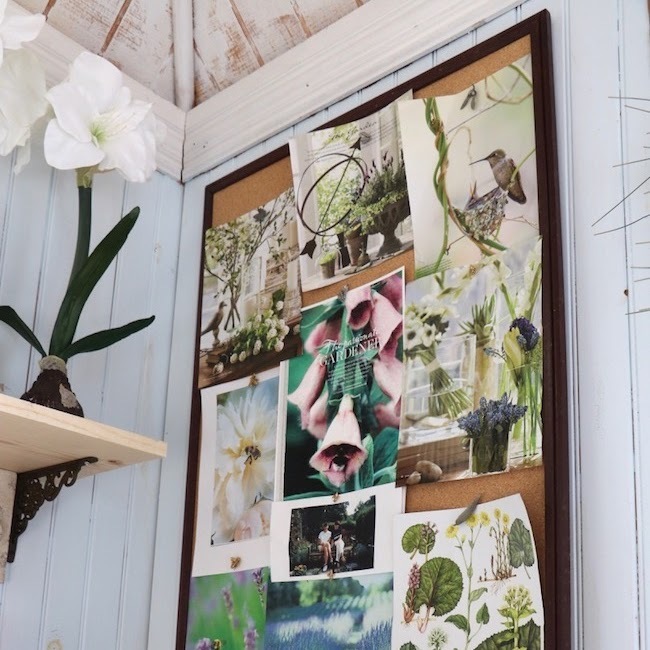 PIN ⥣ to your home design and French Country Design boards. 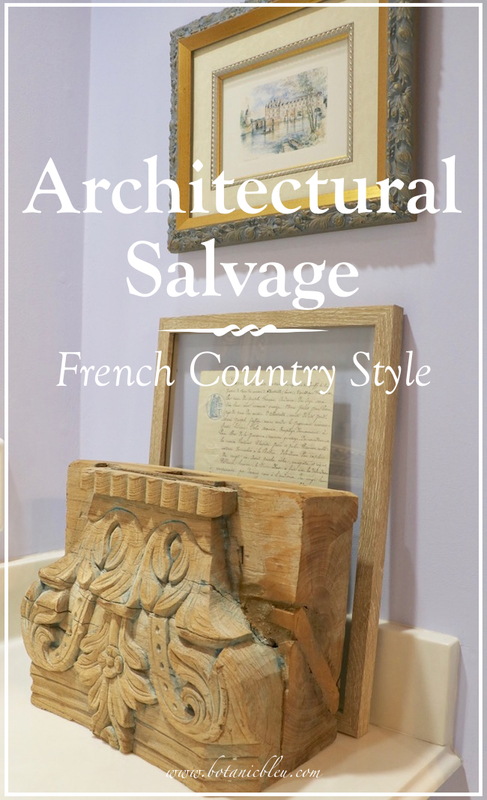 Architectural salvage objects add patina and French Country style to any home, whether a 200-year-old French farmhouse or a newly-built suburban house. 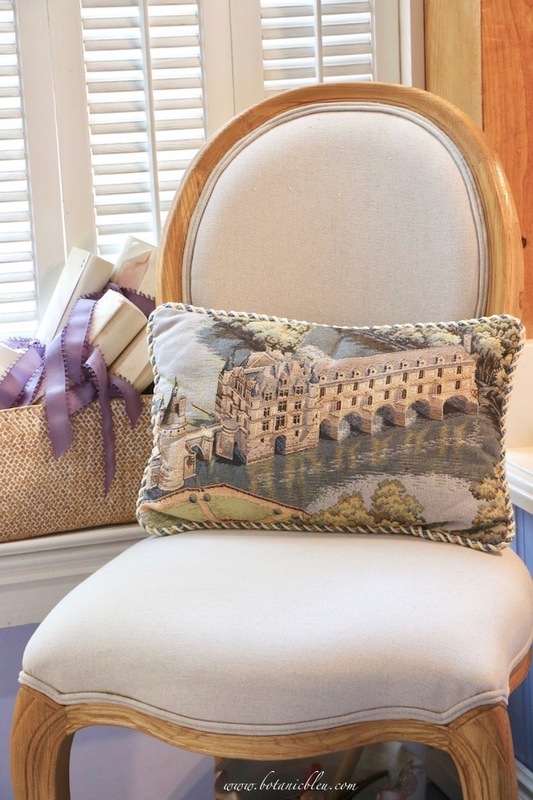 By using French style prints, chairs, pillows, and baskets with a reclaimed wood carving, both old and new houses reflect French Country style. But, architectural salvage is not just for French Country style. 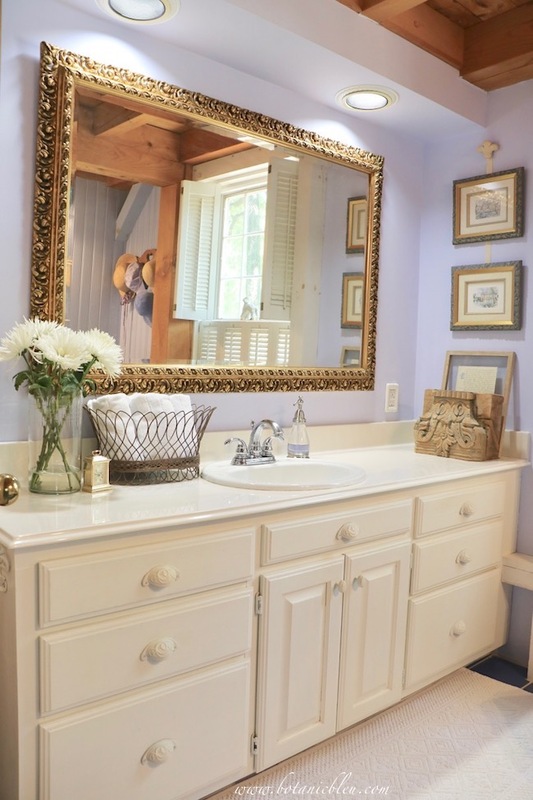 If you love farmhouse, American country, traditional, or British country homes, architectural salvage fits right in with all of them. Where is your favorite place to find architectural salvage? Be specific with cities and location. 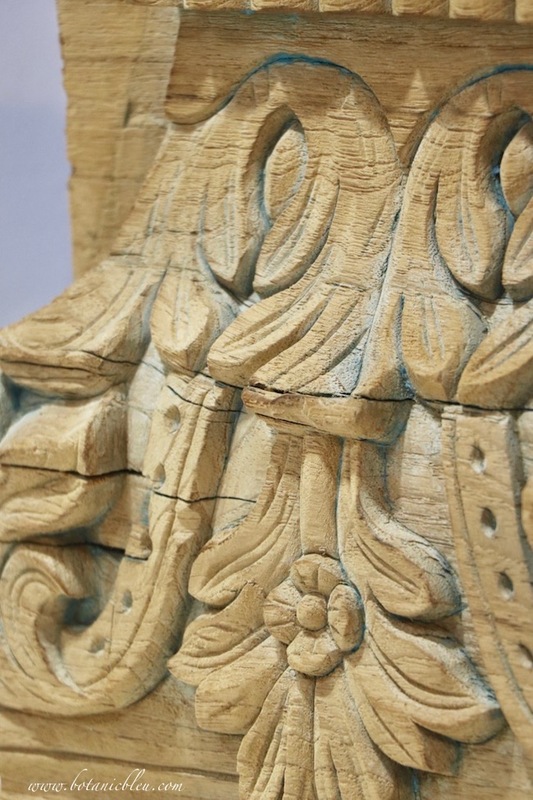 Need ideas of where to find architectural salvage? 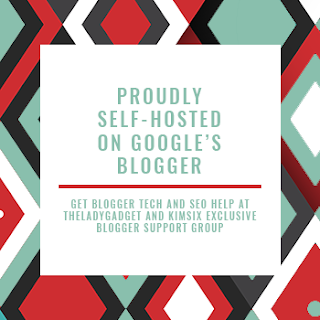 Check online for the following in your area. 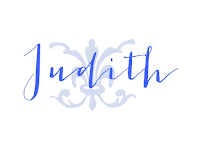 Beautiful details, Judith. I love the idea of a chair in a bath. Hope we might have room in our new remodel, but not sure. Space is at a preminum. I’m on the hunt for the perfect Architectural piece! You’ve inspired me! 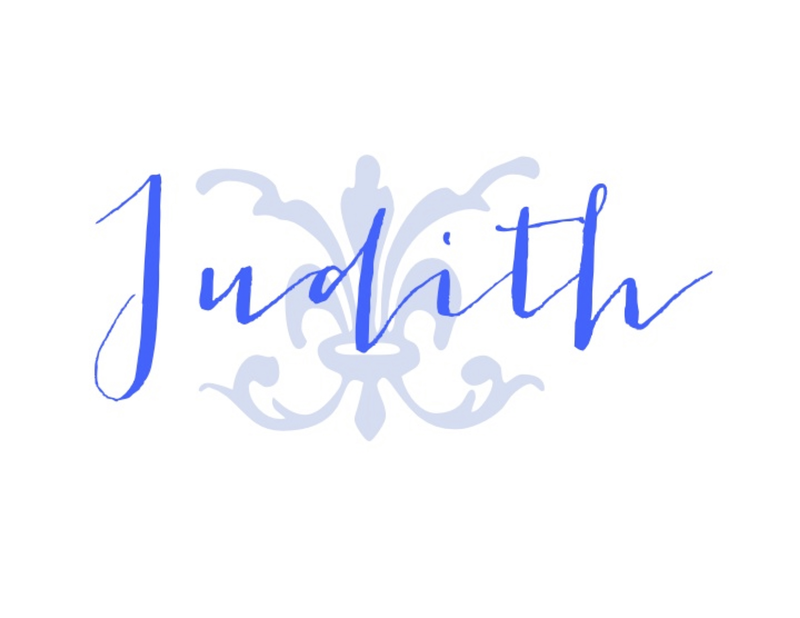 I like your architectural piece in the master bath, Judith. Round Top is on my bucket list. Knowing they offer good selections of French wares makes me want to go there even more. I love everything you have done with the bathroom. The color is so peaceful too. I don't know that I have a specific place, but I do love to look for those little details. One of my favorite places is Pine Mountain, Georgia. 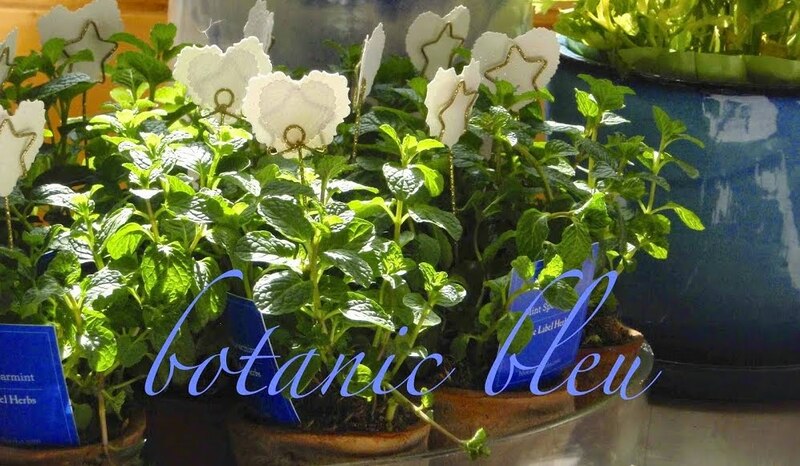 There is a plantation house that does a biannual sale each year with shopping that they bring back from England. The mirror is really pretty too. I love how you have used it in this bath. It's all so beautiful...but that pillow! I love it!